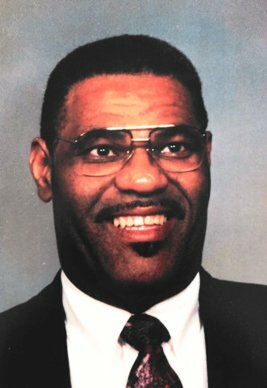 Bishop O. Duane Simmons, 75, of Fremont, OH passed away on Monday, March 25, 2019 at Stein Hospice in Sandusky, OH. He was born October 11, 1943 in Sandusky, the son of Glenn E. and Nancy Levern (Lomax) Simmons. He was a 1961 graduate of Fremont Ross High School and attended Bowling Green State University. Duane married Betty Ruth Foster on November 28, 1964 in Toledo, OH and she survives. He worked for several businesses including, Whirlpool Corporation, UPS, Peter Eckrich, the Fremont Police Department and American National Can. Duane was the longest serving Fremont City Council member, having served for thirty-two years. He was a member of Rivers of Living Water and chairman of Rivers of Living Water International. He was a founder of New Beginnings Outreach along with his wife, Betty. Duane was a member of many Civic clubs and groups. He was a youth baseball coach and a Cub Scout Master of Pack 303 at St. Mark Lutheran Church. He served on the Board of Trustees at WSOS and was a mentor of the African American College Club. Duane was an avid sports fan who loved the Michigan Wolverines and Cleveland Browns. Duane is survived by his loving wife of fifty-four years, Betty Ruth Simmons, Fremont, OH; children, Glenn (Julie) Simmons, Gurnee, IL, Christopher Duane Simmons, Columbus, OH, Jennifer C. Simmons, Fremont, OH; sister, Joyce Marie (Robert) Jones, Fremont, OH; grandchildren, Kylene (John) Brown, Alexis C. Simmons, Rachael (Korie) Simmons, Rubin D. Robinson, James “JJ” Jackson, Alyssa C. Miller-Simmons, Jaleel Jackson and Taylor Simmons; ten great grandchildren and a host of nieces, nephews and cousins. He was preceded in death by his parents; infant daughter, Rachael L. Simmons and brother, Glenn Simmons. Visitation: Friday from 4 – 8 pm at Rivers of Living Water, 604 Howland St, Fremont, OH. Service: Saturday, March 30, 2019, at Noon, with visitation from 11:00 am until Noon at Hayes Memorial United Methodist Church, 1441 Fangboner Rd, Fremont, OH. Pastor C.J. Burel will officiate. Private burial for the family will take place at Greenlawn Memorial Gardens at a later date. Memorials can be made to New Beginnings Outreach or Rivers of Living Water. It feels as if another family member has transitioned. I picture him saying, well Shirley Lemley, I got tired and decided to come joy you and Jimmy. Jimmy got any ribs? I am so very sorry to hear of the passing of Duane. I served on City Council with Duane for several years, and considered him a great friend. He was a great asset to the City of Fremont and will be sadly missed by many. My sincere sympathy to you and the entire family. I worked with Duane at Whirlpool back in the mid to late 60’s. He was always joking and we had fun working with him. Sorry for your loss and prayers to the family. May God be with you as you mourn Duane’s passing. I remember him from Fremont Ross (I was a year behind him) and join you in thanksgiving for his wonderful life. I will never forget the loving kindness and fellowship of brother Duane. Him and his dear wife Better were a big part of my early growth in the Lord Jesus. I’ll never forget Betty and Duane’s ministry at RLW. I remember when Duane would stop by Bob Evan’s where I worked at the time and sat where I could wait on him. He was such an awesome man of God and a wonderful friend. My heart is broken, but he has been set free. Praise Jesus. May the Peace and Serenity of the LORD bless the Simmons family. I have many memories of you! Duane in church playing the horn, Duane and Betty singing in the choir with First Lady Sissy playing the piano, and even Bishop Jones was in the choir! I remember us having church!! Your family has always been a shining light in my life. May God be with you during this time of sorrow. Duane will be truly missed by his friends and family. I had the honor of serving with him on City Council, what a good and decent man and friend. Our sincerest sympathies to Betty and family on the passing of Duane. He was a truly wonderful human being. He will be missed by many people. May he rest with our Lord and may your family find peace. Our deepest sympathy to all of you at this sad time. We walked the halls of Fremont Ross with Duane and, clear back then, it was obvious Duane was a leader and a man of solid character who was loved by all. Duane was a lot of fun and always had a way of lighting up a room with his fun personality. I’m sorry for your loss. I remember Mr. Simmons from when your family lived next door to us on Fourth St. I remember as a boy what a nice man he was. May the Lord give you comfort and peace. God Bless. Thoughts and prayers to the family. I knew Duane for a lot of years. I helped him load the UPS truck at Howard Zinks, and also at Automotive Ind. on stone st. We talked often, as we both liked Michigan. He always had a smile, and was fun to talk to. RIP Duane, AND GO BLUE. My brother, John Lewis III and I have very fond memories of Duane. When we were younger, it was Duane and McKinley “Duley” Glover who took interests in us and were always encouraging. It was always fun and exciting if you knew that Duane was in the “mix “. What a wonderful and respectful man! I remember the talks he would have with my grandfather and the laughter. You always felt better around Duane. From his high school days, to his days at the Police Dept, to his City Council days, he was a true servant of God to his community, church, and family. He was a pioneer. Duane WILL BE MISSED. May GOD keep you all family and uphold you with the comfort that only GOD can give. I was blessed to know Duane over the years through my work at the newspaper and through countless public events and organizations. I was saddened to hear of his passing and offer my sympathy and prayers to family and friends. He should be remembered for how much he did for others and his lively spirit through his life. God surely has welcomed him.